Discover the horrible facts of these true ghost stories! Warning: Please be aware. 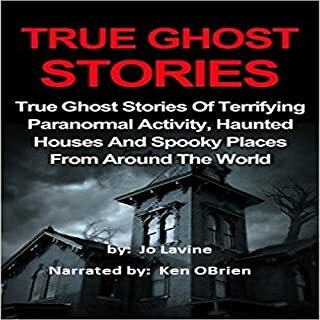 All the stories in this book have been verified as being true ghost stories from around the world. These stories are not hoaxes - they are backed up by facts. May be disturbing for some! When you download Hannah J. 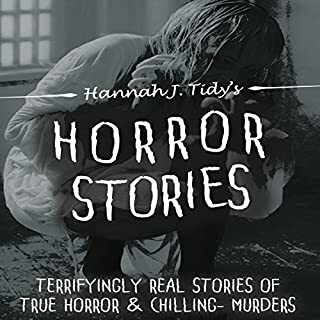 Tidy's Ghost Stories: The Most Horrifying Real Ghost Stories, your skin will crawl with the idea that these stories are real - and could happen to anyone. Most of us have heard a ghost story in our lifetime, but have you ever really asked yourself what it would mean if these stories were true? Come with me as we travel around the world, examining supernatural events and unsolved mysteries. Listen to stories about horrifying creatures and entities inside walls, as well as demons from hell and unseen monsters. In this book, I'm only going to tell you the tales that are true. The true paranormal experiences from around the world that are sure to keep you up at night. These stories come from everywhere - little country roads in the middle of Kentucky to incredible subway networks running underneath Sweden and everywhere in between. Get ready to embark on a journey of the supernatural, and get a glimpse of the real-life things that take place in the world around you, every single day. These are the stories that can't be explained, just told. Warning: Please be aware. All the stories in this book have been verified as being true horror stories that really took place! These stories are not made up in any way – they are backed up by facts. Maybe disturbing for some! Greene County, Pennsylvania, is easily "The Most Haunted County in America". The far Southwest corner of Pennsylvania looks on the surface to be a pleasant rolling, river-cut landscape carpeted with vegetation and trees. But underneath is a bloody history and a supernatural reality brimming with ghosts, aliens, unknown creatures - and things that can change a person's life forever. We live in a world full of mystery, every single aspect of our lives is steeped in it. Even though human civilization and our mastery of science has allowed us to spread to every corner of the physical world, much remains unexplored and unexplained. The realm of science yet has no explanation for these events. Though the small community of paranormal investigators does continue to break new ground, they too remain in the dark. Like the rest of us, waiting in the dark for something to jump out and grab us. The world is not what we think it is. The individuals whose experiences you are about to hear know that only too well, since nothing in their lives had prepared them for their encounters with things that are not supposed to happen - but did! Events like these remain hidden because those they happen to are afraid to speak out of a natural reluctance to have their sincerity or sanity questioned. Societies define their own realities and those who challenge them do so at their own peril. The moral seems to be that where these kinds of events are concerned, ignorance is the best policy. Graveyard chronicles a host of Ed and Lorraine Warren's most harrowing, fact-based cases of ghostly visitations, demonic stalking, heart-wrenching otherworldly encounters, and horrifying comeuppance from the spirit world. If you don't believe, you will. And whether you listen alone in the dead of night or in the middle of a sunny day, you'll be forever haunted by its gallery of specters eager to feed on your darkest dread. Just beyond the shadows, in the twilight space between life and death, lies the place where ghosts, demons, and otherworldly horrors tread. For most people this place is something to be encountered only in their worst nightmares, but for Ed and Lorraine Warren, it is home. As the founders of the New England Society of Psychic Research, the Warrens are the world's most renowned experts in the paranormal, investigating thousands of supernatural events in their long, spectacular careers. And now, in this remarkable audiobook, their story can finally be told. Deliver Us from Evil is a diary of Ed and Lorraine Warren’s most startling investigations. First published in 1973, it is the earliest book about Ed and Lorraine Warren, who went on to become the world’s most famous demonologists and paranormal investigators. 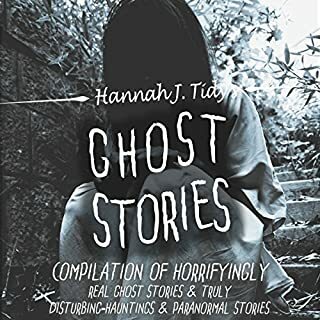 This audiobook deals with the investigations and reports of supernatural activities such as the case of the demons that drove an 18-year-old girl to practice human vampirism. Eerie, true paranormal hauntings, unexplained phenomena and disturbing true ghost stories! Do you believe in ghosts? A lot of us have already been asked this question - some of us must have answered yes, many could have answered no, and others would say: "I will, when I see one". 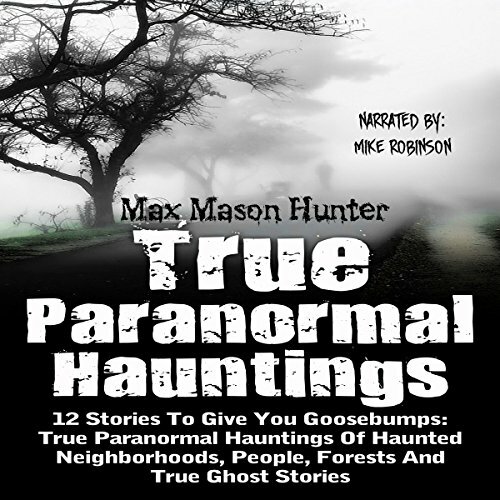 Well, if you had to experience even one of the things that we discuss in this audiobook, perhaps you will change your mind on actually seeing ghosts. Bridgeport, Connecticut, 1974. A crowd of more than 2,000 onlookers gathered. National media reported jumping furniture, floating refrigerators, and attacking entities. Decades after the publicity quieted, more than 40 hours of never-before-released interviews with police officers, firefighters, and others tell the story as it actually unfolded. Producing an immersive audiobook experience (with narration, actors, music, and sound effects), Seth Andrews has drawn upon his decades-long experience as a broadcaster and storyteller to conjure an eerie otherworld of ghosts, spirits, devils, and supernatural beasts. A mix of original tales and popular urban legends, these 14 freestanding chapters favor ghouls over gore, providing easily digestible vignettes of supernatural fiction, ghostly lore, and creepy fun for anyone who has ever enjoyed a scary film, haunted house, or Halloween campfire story. Leading paranormal experts John Zaffis and Rosemary Ellen Guiley plumb the depths of bizarre phenomena involving demonic spirits, the restless dead, demon boxes, dybbukim, Djinn, 9/11 World Trade Center disaster relics, and more. They explore haunted homes and landscapes teeming with spirits and entities who pester and terrorize both people and animals and defiantly refuse to let go. It is as scary as it is exciting: this is how most people would describe a paranormal experience. While others encounter it even when they don't want to, others search for the thrill, going so far as visiting places out of the country just so they can feel the suspense. Haunted forests, abandoned ghost towns, creepy creatures, cursed roads, and other paranormal events - all these things happen for a reason. Murder victims manifest themselves perhaps because their justice is still not achieved, or perhaps, they simply were not ready to go. 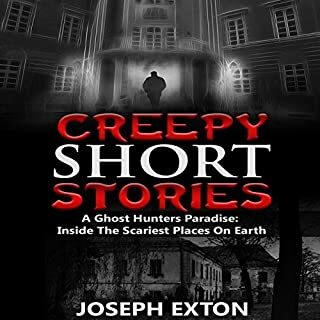 In this book you will learn of 12 stories: haunted houses, eerie ghost towns, murder victims who became ghosts, forests with supernatural phenomena, a haunted road, a man who changed his personality right after he received a kidney from a child donor, and of course, scary humanoid creatures with pitch black eyes. If you really love to curl up under the covers with a good ghost book that will give you the chills, then download now! 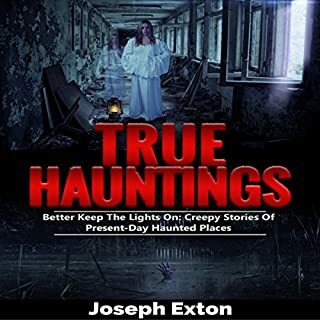 True Paranormal Hauntings is a book that covers a vast range of paranormal topics. That is what I like about this book. It doesn't focus on just one thing, like hauntings, but includes a variety of arcane events and topics. You go from the Devil's Stomping Grounds to Black Eyed Children. It reminds me of the old Leonard Nimoy TV Show In Search Of. Never on just one thing, but an ecletic gathering of odd things. 12 stories is a perfect number, too. I got the book this morning, and was able to listen to it in about 2 hours time. Good for a jaunty car ride, or when cleaning around the house. Robinson narrates the topices like a seasoned pro, and reminds me of when Robert Stack would narrate Unsolved Mysteries. He has the same way of conveying information, he mesmerizes you with his inflections and the way he drives the points home. This is a great book for travelling or listening to when you are home alone. As a recent North Carolina transplant I was excited to hear some local lore on some places I need to go to. I immediately started googling the Devils Tramping Ground after hearing about its allure. Next place I plan to visit for sure. I really enjoyed listening to these stories. I wouldn’t really call any of them scary but it was neat to hear about paranormal happenings. I felt like a twelve year old listening to my neighbor tell me about the spooky house up the street while we were having a sleep over. Definitely a fun listen. The whole book reads as your typical spooky places to visit in (fill in state). Love learning about local lore and paranormal happenings. Adds another check mark on my map of places to go visit. These stories were fifty fifty on ones I had heard and ones I hadn’t. Happy to say that the stories I had already heard were told as I heard them so I assume they are as truthful as paranormal and bizarre stores can be. Mike Robinson did a great job with the narration. As this book is more matter of fact versus actually story telling he did a great job. His narration was perfect for this book and he lulled me into each story. As soon as this was over I was thinking, I need more. Good, engaging book. Stories are fairly short but they keep your attention. The narration was perfect. I enjoyed this book. The devils circle is the only one I have heard of before. 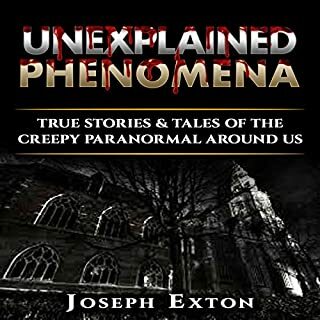 Some of these stories most people would not believe to he haunted or paranormal but would try to explain it away but I believe in ghosts and paranormal happenings. I have followed a ghost before not knowing it was a ghost. I recommend this book. I received this free for an honest review from the author or narrator. The stories in the book reminded me of the show "Fact of Fiction". Creepy, but not overly so. The narration keep me captivated and kept me wondering if the stories being told had really happened. It was a quick listen, but don't do it near bedtime! This is definitely one to pick up. I received this audio book for free in exchange for my honest review. This is a collection of compelling stories that will interest any fan of the supernatural. Wow great stories interesting to hear some of the paranormal haunting . The narration was excellent would love to hear some more some time!! This is a great book the only problem is that it's way too short for an audio. I know of many authors who created box set of their short stories that wouldn't sell till they have done so. There is nothing wrong with the story, it's just that the membership is about $15.00 a month for 1 credit and nobody will use that credit for such a short story no matter how great it is. The 12 stories are awesome and well written. The performance is perfectly done. My only recommendation for the author is to combine a few of his books into at least 7 plus audio hours. Other then that I could have kept listening to those excellent written stories for ever. Truly beautifully done, I loved it so I can't not recommend it. Where does True Paranormal Hauntings: 12 Stories to Give You Goosebumps rank among all the audiobooks you’ve listened to so far? Top story. I listened to it 3 times. What was one of the most memorable moments of True Paranormal Hauntings: 12 Stories to Give You Goosebumps? I would not say I got goosebumps but I felt unease about the 2nd chance at life. Because I am too waiting for an organ transplant. Knowing that personalities could change a person who receives a transplant ????? that kind of worries me. Have you listened to any of Mike Robinson’s other performances before? How does this one compare? no, not that i'm aware of. I love hearing about ghostly stories of real places. However I would never visit any because I am a big believer and I might be easily target to the ghost or demons. I am very open minded and it wouldn't take much to freak me out. Creepy story period. I am not usually one to read, much less listen to, these types of books, but I did. The writing is good. The narrator does a good job of enhancing the 'creepiness' of the story. I enjoyed the timber of his voice and the cadence of his narration. Interesting but not as scary as I’d hoped. I found the book well written and the stories very interesting, but I didn’t fell particularly scared by them. It was well read by the narrator, so no complaints and I’d definitely listen to other books by either Max or Mike. This is an honest opinion of a free review copy. I love anything like this, and wasn't disappointed with this book. It was creepy, but not too creepy, and informative enough to get me onto the internet googling for more information on a couple of the stories.